Wonderful colors on this motif! The black chains are so effective. Congratulations on your 500th post! Quite an accomplishment! Indeed you have done a lot of wonderful tatting, including many items enhanced with beads! You also have shared interesting stories about the area where you live. 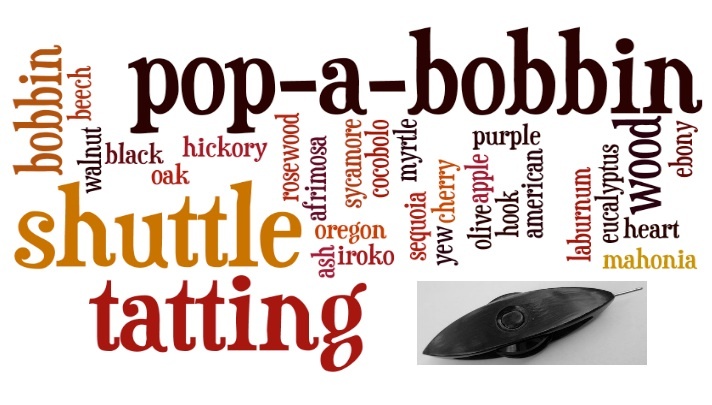 Of course, you are also an important part of the pop-a-bobbin shuttle team! It truly has been an amazing journey! Thanks Kathy, not to mention all the lovely people I have either met in person whilst on my travels to other countries and those on line such as you. Excellent colour choice for the pattern, enhances the stained window effect. Congratulations on your 500th post! Very attractive motif, I like the way the black separates the variegated thread into separate compartments. Advance congratulations on your 500th post. I wonder how many folk you've met both on line and in person just through tatting alone? What a lovely piece! Yes, it does look like stained glass. I believe I have that book. I'll have to check and see. Isn't it fun to realize blogging milestones? Congratulations! I'll be reading that 500th post! That looks pretty cool!!! 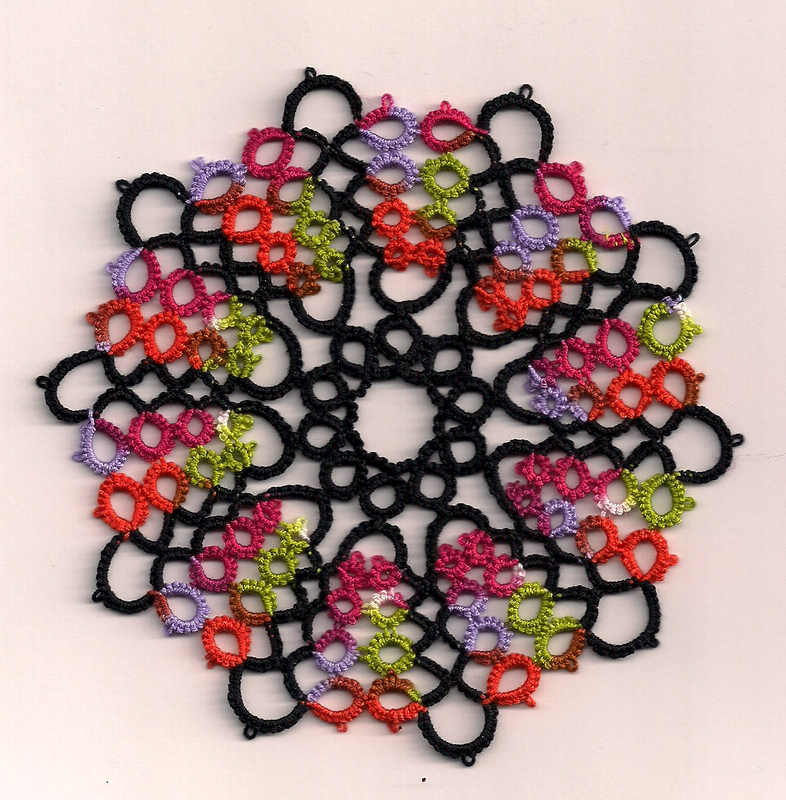 :) Reminds me of something Jane from Tatting and not a lot else would design. Yes, it does look like a stain glass window.I have never kept track of the number of blog posts I have made. Reading your, I took a look and noticed that I am at 526. Hmm .. not many really for the 10 years that I have been blogging. This is very pretty. Your color choice really makes it look like a stained glass window.